MELANEE SHALE: Blue Dreams and Polka Dots! Blue Dreams and Polka Dots! 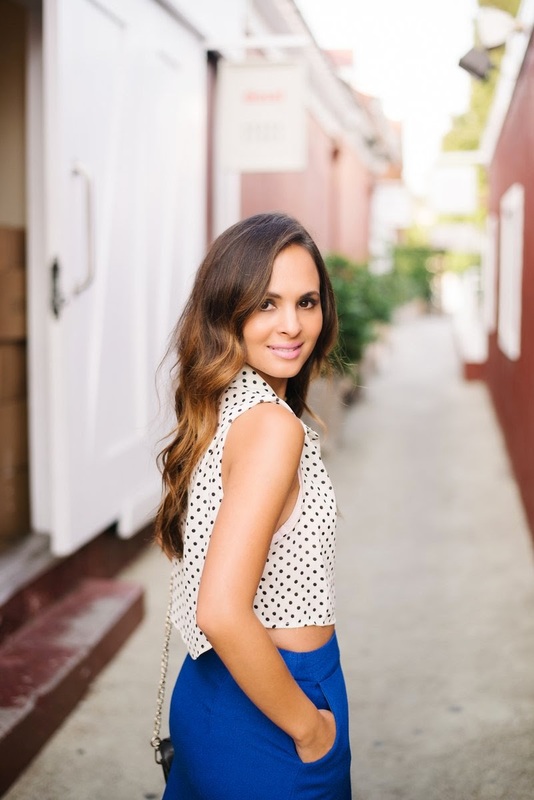 I've always been a fan of polka dots simply due to it's simple yet youthful print. I paired it with a blue skirt for a pop of color and kept the accessories subdued with a black bag and dainty gold jewelry. My accessories game has been changing lately, wearing more subtle pieces rather than statement making ones. I'm loving the vast collections available at Shop Lately so I recommend checking them out if you haven't already! Also, now when you sign up for ShopLately Insider you will receive free shipping on EVERYTHING! That means you never have to pay for shipping on anything! The first month is free and you can cancel the 30 day trial at any time. After that, it's $9/year for the annual membership. In addition, you'll receive free returns on damaged and flawed items. Check it out!